University officials are heading to Peru this weekend to celebrate the opening of a new home for Inca artifacts long housed at Yale. Provost Peter Salovey will join other members of the University in Cusco for the formal opening of the Universidad Nacional de San Antonio Abad del Cusco-Yale International Center for the Study of Machu Picchu next Thursday. The ceremony follows this summer's centennial celebration of Machu Picchu's discovery in 1911, and will cement a collaborative relationship between the UNSAAC and Yale for the years to come, Salovey said. "Yale is very pleased to be the UNSAAC's partner in this project, and is delighted by the progress we have made together so far," Salovey said in a Thursday email. "We expect Yale faculty and students to travel often to the museum for research projects involving these objects, and we are very impressed by the beauty of Casa Concha and the way the objects will be housed and displayed there." The Inca artifacts that will soon be on display in Peru caused decades of controversy between Yale and the Peruvian government, as both fought for control of the collection discovered between 1911 and 1916 by Yale archaeologist Hiram Bingham III 1898 and housed in Yale's Peabody Museum for much of the past century. 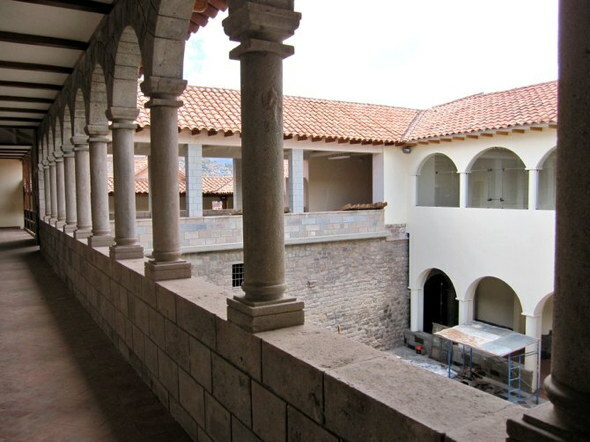 Although the Peruvian government adamantly pressed for the artifacts' return and sued the University in December 2008, tensions have eased since the two signed a memorandum of understanding in November 2010. The center's opening comes after Harold Forsyth, the Peruvian ambassador to the United States, conferred the Order of "The Sun of Peru" — the nation's highest civilian award for extraordinary services to Peru or contributions to the art, literature, culture or politics the country — upon University President Richard Levin at a ceremony in Washington, D.C. Though the artifacts have not quite returned to Machu Picchu, they will reside just 50 miles southeast of their original home in a 16th century Cusco mansion known as Casa Concha, which serves as the site of the center jointly-run by UNSAAC and Yale. Hosting the artifacts in Cusco enabled greater protection and conservation than would have been available in Machu Picchu, Yale archaeology professor Richard Burger '72 said, adding that Cusco was the capital of the Inca empire. "Casa Concha is a remarkable place because you have Inca architecture visible and you have colonial architecture from the sixteenth and seventeenth centuries visible," Burger said. Planning for the Center has primarily been a collaborative process between Yale and UNSAAC, with the Peruvian government playing a secondary role, Burger said. The government has played an important role in helping import large dioramas and other supplies needed for the exhibits, he added. Burger, who will meet Salovey at the ceremony and leaves for Peru today, will join his wife, Peabody Museum research associate Lucy Salazar, in Cusco to finish curating the exhibit before its opening next Thursday. The museum will be an expanded version of the Peabody Museum displays, drawing from both collections formerly at Yale and other Inca artifacts found recently in Cusco. "In many ways Cusco is like Rome or Mexico City: wherever you dig you find antiquities," Burger said. "It should make [the exhibits] more exciting." Throughout the negotiations over the relics' return, Yale officials said they wanted to ensure that the artifacts would remain preserved and open for scholarly research. Officials from Yale and UNSAAC are still determining plans for "conservation and research," Burger said, but have established preliminary ideas for workshops in which Yale specialists will travel to Cusco and teach in these fields. Under the terms of last November's agreement, all of the artifacts will return to Peru by Dec. 31, 2012. The first shipment of artifacts, consisting of those suitable for museum display, arrived in Peru in March. The second shipment, which includes human remains and animal bones, will return later this calendar year, Burger said.